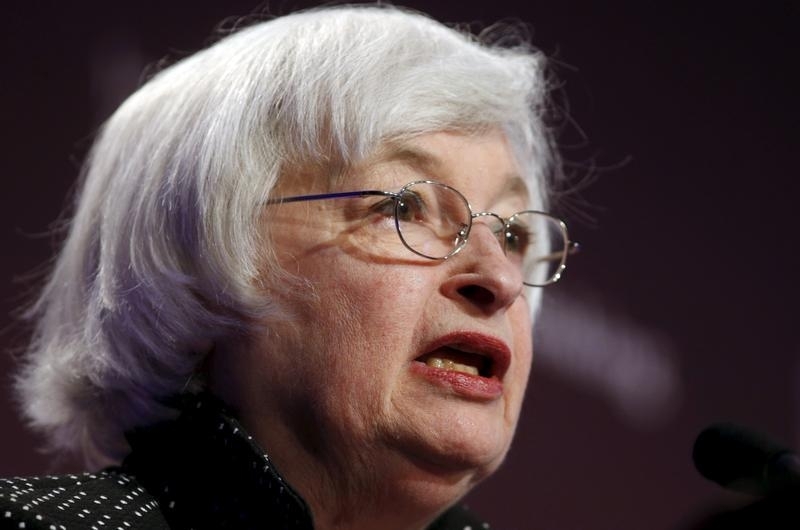 The institutions urged the U.S. central bank to delay interest hikes into 2016, but Chair Janet Yellen and her colleagues see rates starting upward this year. With its mandated unemployment and inflation metrics static, the Fed’s analysis now seems to owe more to GDP and wages. Fed might fret about emerging market "spillback"
The U.S. central bank’s Federal Open Market Committee on June 17 signaled no change in current policy in its statement following a two-day meeting. The group’s economic projections, however, showed weaker growth for 2015, with the central tendency for GDP expansion down to between 1.8 percent and 2 percent from the 2.3 to 2.7 percent range estimated in March. The economists also anticipate a higher unemployment rate at the end of the year than their March predictions indicated. Longer-run estimates were little changed. The FOMC also provided a new “dot plot” of members’ forecasts of the federal funds rate. Almost all see interest rates rising this year, with the median expecting a 0.5 percentage point increase by December. None of the 17 estimates show rates higher than 1 percent in 2015 or higher than 3 percent in 2016. Earlier this month, the International Monetary Fund said in its annual assessment of the U.S. economy that the Fed should delay rate hikes until the economy looked sustainably stronger, potentially next year. The World Bank, after cutting its global growth outlook for the year, also said the Fed should hold off raising rates until 2016 in order to avoid increasing currency volatility.